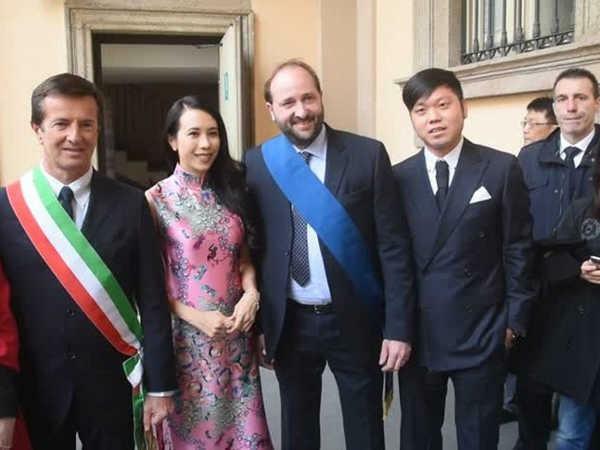 5 May - Singer-actress Karen Mok, who is currently busy travelling around the globe for her world tour, recently made a stop at Bergamo, Italy to accept the honour of becoming its cultural ambassador. As reported on Mingpao News, the singer was recently awarded for her artistic achievement by Bergamo Mayor Giorgio Gori and Province President Matteo Rossi during an event held at the Palace of the Province in Via Tasso. Karen, who spoke fluent Italian, expressed, "I am very pleased to come to this city. Italy is significant in my heart. I studied here when I was 17, it's the place where I first experienced love, and I also held my wedding here. I am also proud to be the first Chinese to hold a concert here." Karen's mother and her husband Johannes Natterer were also present to witness this important event.